Is this the year of the vegetable? It sure seems like it! 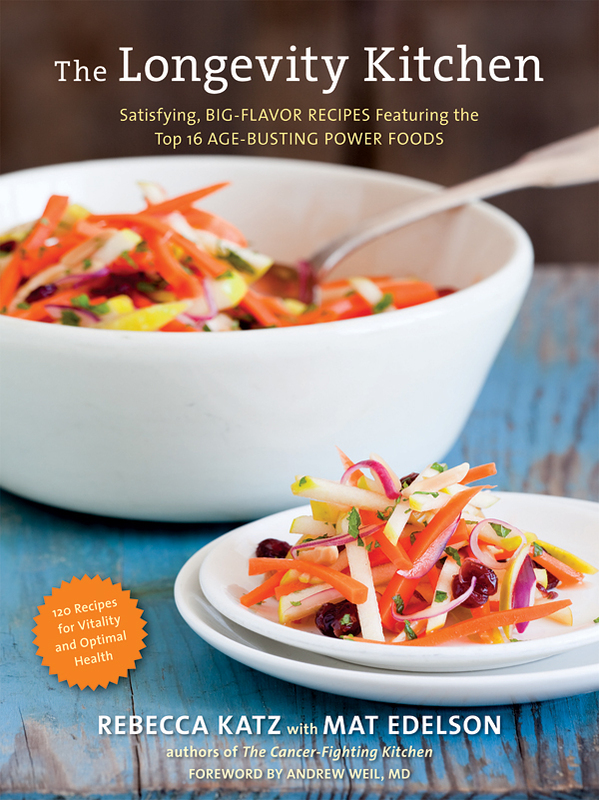 Vegetable centric cookbook are in the spotlight, and it's not one size fits all. There are cookbooks about foraging, using roots, healthy eating and more. In honor of Meatless Monday, here's a round up of some interesting ones I've come across lately. 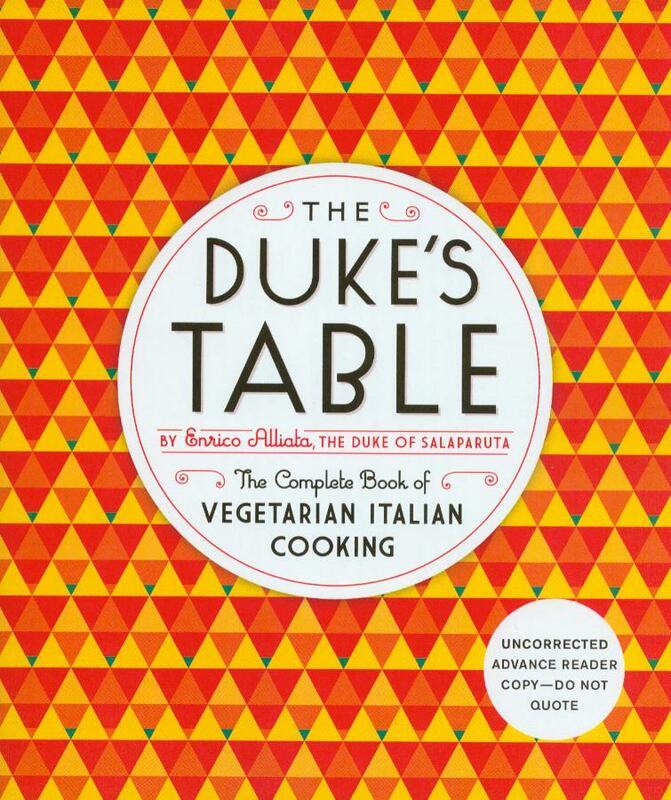 The Duke's Table is a vegetarian book of Italian food, written in 1930 and now available in English. I learned to love vegetables in Italy where they are never, ever served plain. They are always "dressed" and I find this makes all the difference. Even a little drizzle of olive oil and lemon juice make a dish of vegetables more appealing. This book has a staggering number of recipes, over 1000 and everything from pasta dishes to souffles, egg dishes, soups, ice creams and even some raw dishes (those are a little out there!). 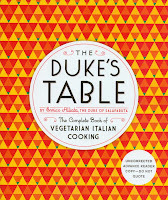 Some of the recipes are healthy, some are not, but all are interesting and offer a peek into a fascinating diet of a man of means at the turn of the century (the duke lived from 1879 till 1946). Some of the recipes are fancy, but many are regional dishes like Bucellati, a sweet bread or Torta Napoletana. The vegetarian meatballs and meatloaves are inventive mixtures of mushrooms and walnuts. My verdict? A fascinating book for Italian food lovers. 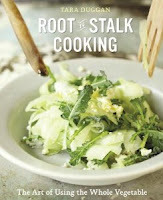 I am very excited about Tara Duggan's book Root-to-Stalk Cooking because I am the kind of cook who wonders, can I eat carrot tops? What can I do with squash blossoms other than stuff them? And is there a good use for apple peelings? Fortunately this book answers all those nagging questions and more. It's all about using the whole vegetable and that just makes good sense. Recipes I've bookmarked include Chard Stalk Relish with Pine Nuts & Sultanas, Pea Pod Pudding, Carrot Top Salsa Verde with Roasted Root Vegetables and Apple Peel Bourbon. Note this book won't be available until August. My verdict? Great for adventuresome and thrifty cooks, farmer's market shoppers and gardeners who often end up with whole, untrimmed vegetables. 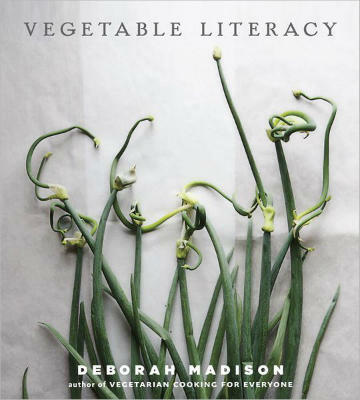 Vegetable Literacy is the latest book from Deborah Madison and the closest thing to a vegetable bible both for cooking and gardening. It's organized by families, such as nightshades, lily, grass, cabbage and sunflower. It really makes you think about vegetables in a new way! There are recipes for vegetables you use all the time like carrots and squash but also recipes using less common vegetables like burdock, quelites, parsnips and escarole. I have so many recipes bookmarked I don't know where to start, but a few that caught me eye are Young Leeks with Oranges and Pistachios, Corn Simmered in Coconut Milk with Thai Basil and Sweet Potatoes with White Miso Ginger Sauce. I am in awe of Deborah Madison. She's like a national treasure and though no longer living in the Bay Area, she was deeply involved in the restaurants that made a big impact in our local cuisine specifically Chez Panisse and Greens. My verdict? Buy this book! It is destined to become a classic. 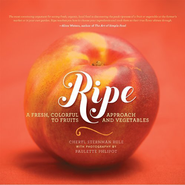 Ripe is written by Cheryl Sternman Rule with stunning photography by Paulette Phlipot. It came out last year but is still making waves! Organized by color, it really does embody passion and excitement. It's written in a slightly cheeky style that's fun to read and each ingredient gets a set of tips for using them and how to combine them with other ingredients. There are lots of surprises in this book like Swiss Chard stuffed with Polenta (smart!) a juicy salad of Honeydew, Cucumber and Grapes with a poppyseed and lime dressing and show stopping Persimmon, Apple, Radicchio stacks (you can't tell me you've seen that elsewhere). My verdict? 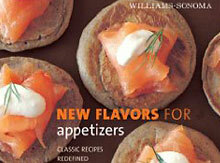 Inspiring recipes, ideas and photos, and a great coffee table book. The Longevity Kitchen by Rebecca Katz and Mat Edelson focuses on 16 "age busting" foods, they are asparagus, avocado, basil, blueberries, coffee, dark chocolate, garlic, green tea, kale, olive oil, pomegranate, sweet potatoes, thyme, walnuts, wild salmon and yogurt. 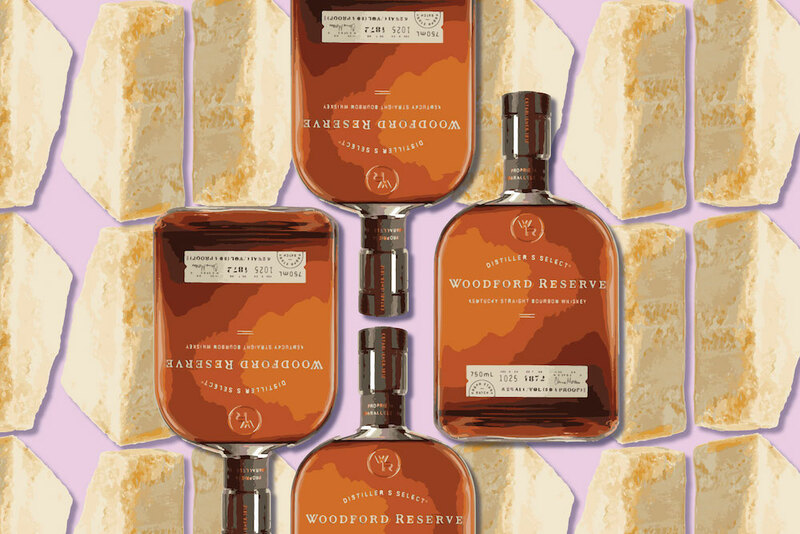 Let's face it, you are going to get old, no matter what you eat. But the ingredients in this book may help you live a more healthy life. The photos are good and the book is really jam packed with inspiring recipes for things you probably haven't considered like Nori Rolls stuffed with Avocado and Smoked Salmon, Edamame Wasabi Spread and sardines mixed with loads of herbs and mustard. Many of the recipes, including all of the baked good and desserts are gluten-free, often relying on almond flour. Also Rebecca Katz writes wonderfully informal headnotes with each recipe. My verdict? 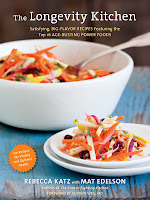 Great for anyone wanting to incorporate more healthy foods into their cooking and looking for new ideas. Backyard Foraging. Yay! 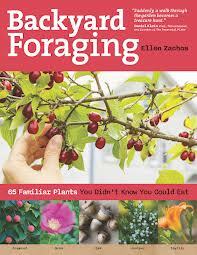 Another book on foraging! And this one is not about going far into the wild, but simply into your own backyard. Full color photographs and a guide to seasonality will be helpful to those just starting to forage for food. Did you know you could eat magnolia flowers and buds? I didn't! Watch out foliage, this book is coming after you! There are instructions for how to prepare the foraged food, but only a few recipes at the end of the book, for things like Dandelion Wine, Dahlia Tuber Bread, Mushroom Ravioli and Rose Hip Soup. My verdict? Great for budding naturalists living in the suburbs or less urban areas with access to common plants. I fear urban plants growing wild are probably exposed to more pollution and not as suitable for eating, though perhaps I'm wrong about that. The Passionate Vegetable is a weird name for a cookbook. 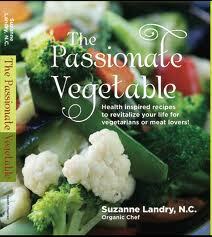 I mean, what exactly is a passionate vegetable? Written by a health educator, Suzanne Landry the book provides a roadmap for better health through the "flexitarian" style of eating. Perhaps most importantly the recipes are easy to follow. To be honest, though I do want to try The Passionate Breakfast Cookie, much of the photography is not terribly inspiring in this book and the recipes remind me of the things I cooked when I moved into my first apartment--Mushroom Barley Soup, Black Bean and Corn Salad, Ratatouille over Spaghetti Squash. My verdict? This book is best for beginning cooks. Disclaimer: Some of these books were review copies, and this post includes affiliate links.